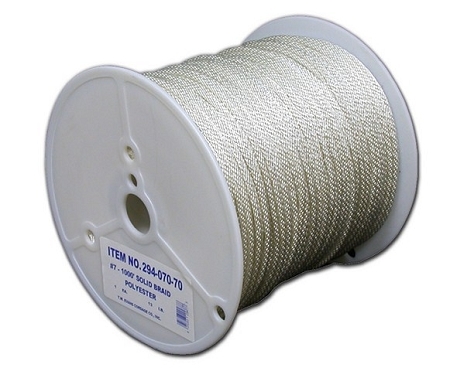 A braided all polyester cord that is low-stretch and extremely durable and strong. This cord does not rot or mildew, is abrasion resistant, and is not affected by water, gas, grease, or oil. Ideal as safety lines, hoists, starter ropes, anchor lines, camping roe and tie-down rope.